So you’ve finally made it to middle management. You’ve arrived at that magical place where you are responsible and accountable for the performance of a team but you still have limited authority and influence in your organization. Welcome to the Danger Zone! Why is it so dangerous? Because, if you are not careful, this is where careers come to die. At least that’s the conclusion of Jack Zenger and Joseph Folkman. In a recent Harvard Business Review article called Why Middle Managers Are So Unhappy, they discovered the unhappiest employees are, in fact, middle managers. The truth is, it can be tough if you find yourself “stuck” in middle management. It can lead to frustration and disillusionment, but it doesn’t have to be this way. If you have made it to middle management, it’s because someone thinks you have what it takes to lead people and that’s one of the greatest honors bestowed upon any individual. So how do you avoid getting “stuck” in the middle? Contentment. One of the biggest causes for frustration for middle managers is the desire to be promoted to the next job. I’ve seen many managers so focused on trying to get to their next position that they never actually do their current job. Be content. You’ve been asked to lead people, lead them well. Enjoy your time as a middle manager. Excellence. While you are in middle management, be excellent in everything you do. Instead of focusing on your next job, set your sights on mastering this one. If you can build a reputation for performing at a high level with a smaller organization, you will likely be considered for larger role. Education. Mastering your job means learning everything you can about being a valuable leader in your company. Use your time as a middle manager to continue to educate yourself. Read business books, take courses that will strengthen your weaknesses, complete an advanced degree, complete an industry certification, join industry groups, volunteer for challenging assignments, or find a mentor in your company to learn from. Most companies offer a variety of ways to continue your education, take advantage of them all. The more you know, the more valuable you will be for your company. Commitments. Become a trusted performer in your organization. Senior managers are looking for people who get things done. They are looking for leaders who do what they say they are going to do. Build a reputation for meeting your commitments and honoring your promises. Exploration. Use your time in middle management to figure out where you get the most satisfaction out of your work. Is it executing a large project or landing a significant order? Is it leading a kaizen event or executing a new marketing strategy? Is it becoming a functional expert or focusing more on general management? Expose yourself to as many diverse opportunities as you can to learn what you really enjoy doing. This will help prepare you for what you really want to do in your next assignment. 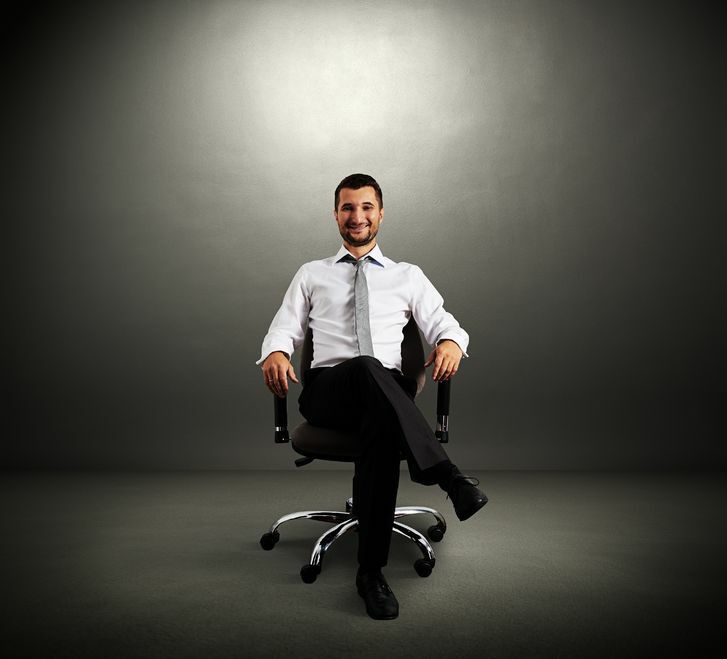 Middle management doesn’t have to be a place where careers go to die. With the right attitude and focus, your time in middle management can be the best years of your work life. It’s a time where you can master the art of leading people, learn to perform at a high level, continue your education, build a reputation for meeting commitments, and explore what you really enjoy doing. The key is to become a trusted and valuable asset to senior management. Does it mean that doing these things will get you promoted to the next level? Maybe or maybe not. What it will do is give you a lot more satisfaction in your job and keep you away from that bottom 5% of unengaged, uncommitted, unhappy employees. So, what do think? Is it possible to avoid getting “stuck?” Are there other things that can be done to avoid the middle management trap? How much does your boss or company influence your ability to continue to grow? What options do you have if you find yourself stuck? ← Is it Time for the Introverted Leader?